This past week has been incredibly difficult, not only for our family, but also for several families close to us. I have questioned God and argued with Him multiple times over the past few days. While I selfishly search for answers, I have missed that the Answer lies right in front of me – in the person of Jesus Christ! He is our solution to anything life throws at us. He is MY healer, redeemer, supplier, and protector! He is peace in the midst of the storm, shelter in the midst of the rain, and comfort in the midst of the chaos! It is so easy for us to become distracted from what God has for us, especially in the midst of difficult circumstances. We miss what He is teaching us and how He desires to use us in the midst of trials. As humans, our instinct is to protect ourselves and find our identity in what we do. I have been reminded over the past few days that I must find my identity solely in who Christ is and what He has done for me! I am a child of God – loved by Him – shaped by Him – and identified through Him! 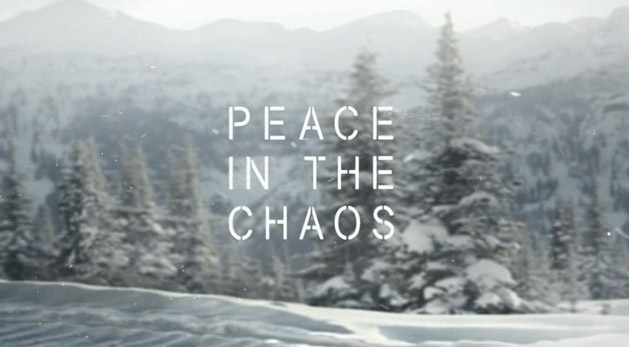 Whatever you are facing today, believe and trust that you can definitely find peace in the midst of chaos! There is nothing too difficult for God. No trial, circumstance, or issue can overshadow His love, grace, and faithfulness! 37 No, in all these things we are more than conquerors through him who loved us. 38 For I am convinced that neither death nor life, neither angels nor demons, neither the present nor the future, nor any powers, 39 neither height nor depth, nor anything else in all creation, will be able to separate us from the love of God that is in Christ Jesus our Lord! My prayer is that whatever live is throwing your way, you are able to take comfort in the promise of these verses! I really liked this post, thank you so much for sharing!